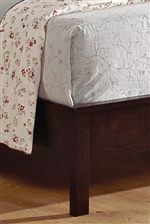 Sleek and clean transitional design outfits this great bedside storage option for your home. 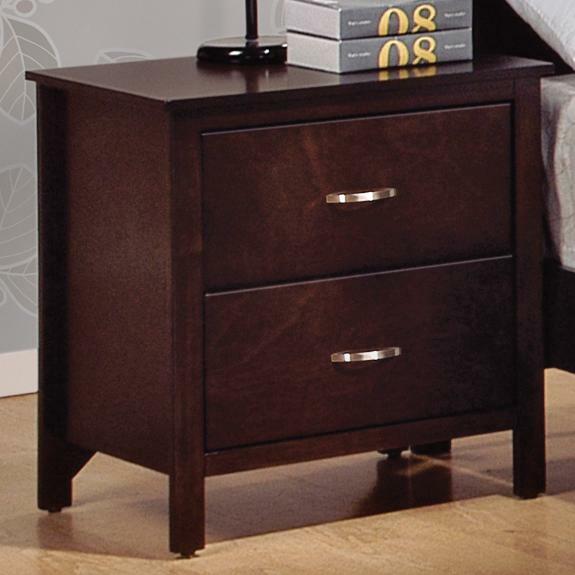 This night stand features a raised base on thin block feet with a rich dark brown finish and silver bar pull hardware on two spacious storage drawers. Understated and simplified in design, this nightstand is as functional as it is fashionable as a furniture choice for your home. The Ian 2 Drawer Night Stand by CM at Michael's Furniture Warehouse in the San Fernando & Los Angeles area. Product availability may vary. Contact us for the most current availability on this product. The Ian collection is a great option if you are looking for Transitional furniture in the San Fernando & Los Angeles area. 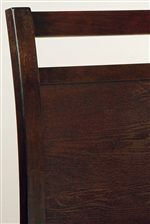 Browse other items in the Ian collection from Michael's Furniture Warehouse in the San Fernando & Los Angeles area.